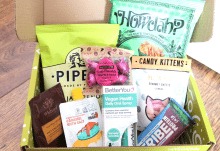 For the Classic box they work out at $39 (£28.76), $37 (£27.28), $35 (£25.81), and $33 (£24.33) per month. The theme for this month is New Year Festival. Here is the info on the menu insert so you can read a bit about the idea behind this theme. The box itself is lovely. It arrives in a plain cardboard box, but this is what’s inside. The presentation is always impressive. Everything is beautifully packed, and the shredded paper looks very attractive. Even the menu is beautifully laid out. 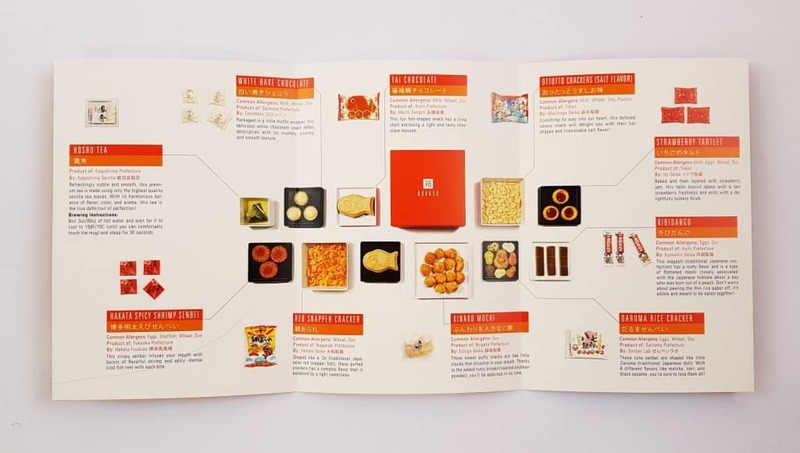 As well as information about each snack, it also includes a list of allergens (especially important for me). First the tea. This is Hoshu Tea. Hoshu is made from the best quality sencha tea leaves, and is a type of green tea. 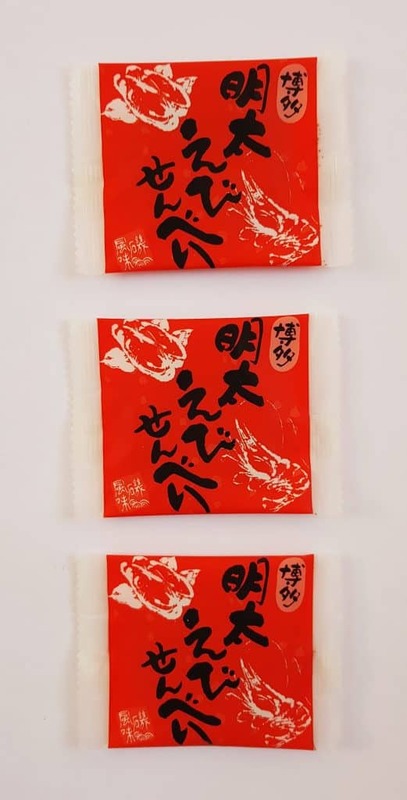 Hakata Spicy Shrimp Senbei are a crispy rice cracker with the taste of shrimp and cod fish roe. Red Snapper Cracker don’t actually contain any fish (according to the allergen list) but instead are light sweet/savory puffs which are shaped like fish. 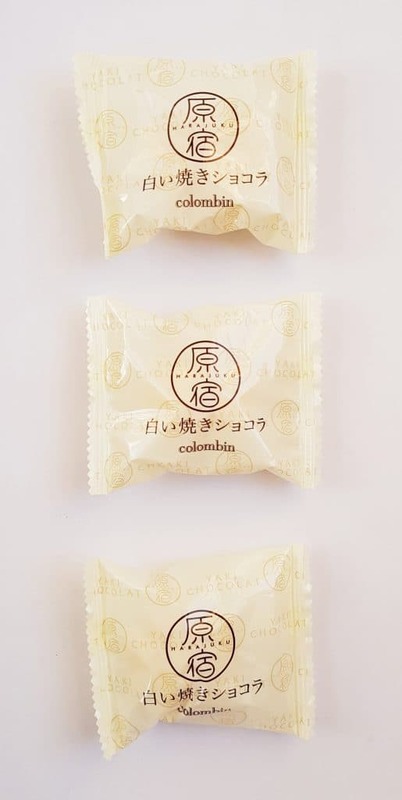 These little puffs are Kinako Mochi. They are a type of mochi (rice cake) but instead of being chewy they are incredibly light and melt in your mouth. 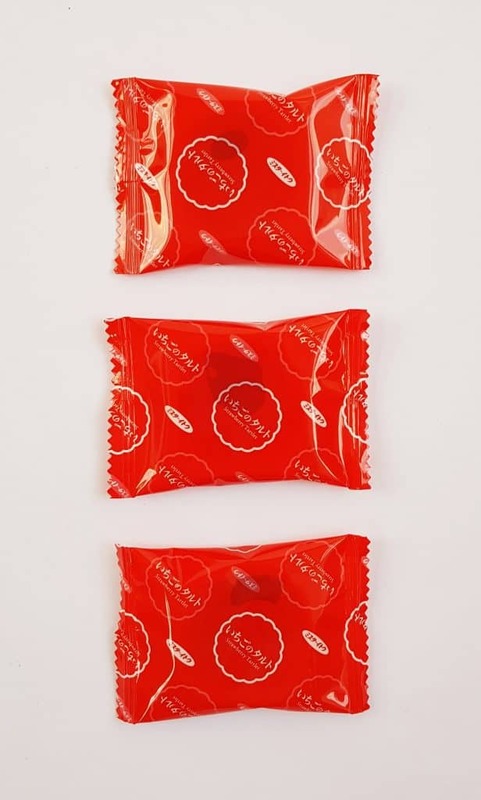 They are coated with Kinako, roasted soybean powder, which has a delicious nutty flavour. They are described in the menu as being like little clouds, which is an extremely apt description! 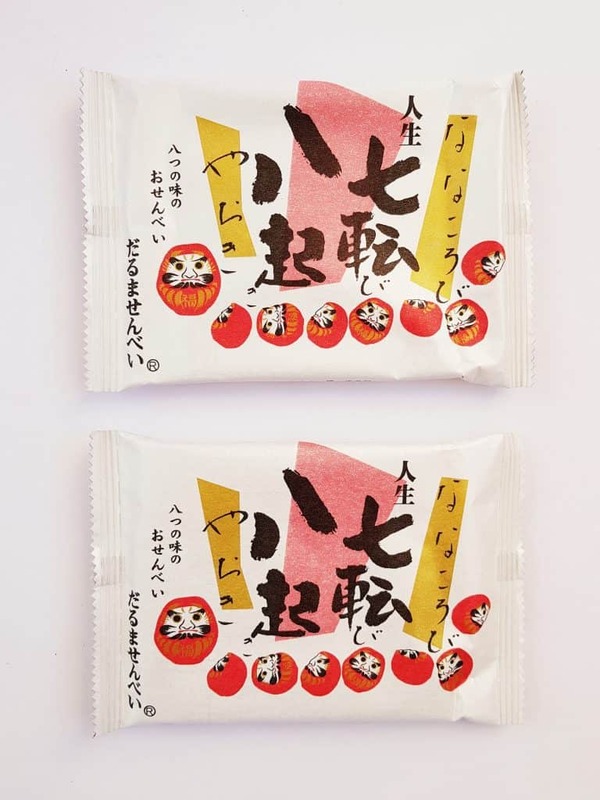 These Daruma Rice Crackers are very appropriate for New Year! 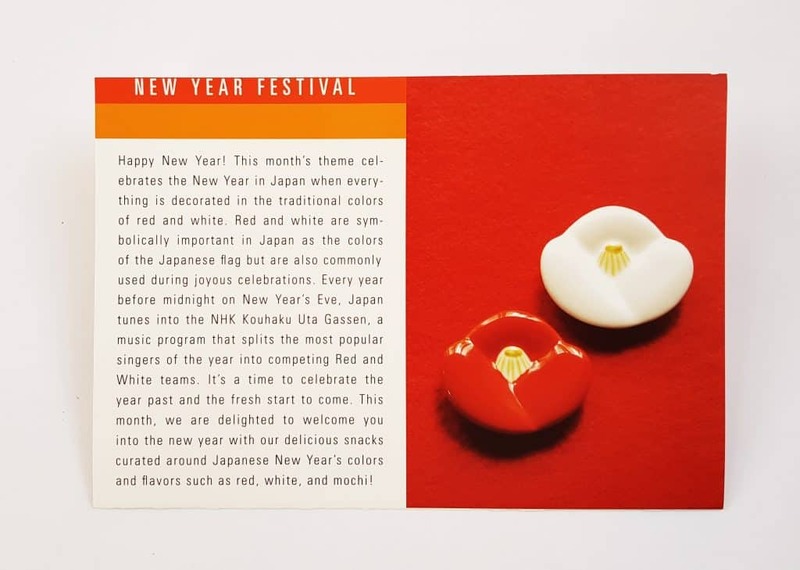 They are cute little rice crackers in eight different flavours, shaped like daruma dolls, which symbolize good luck. 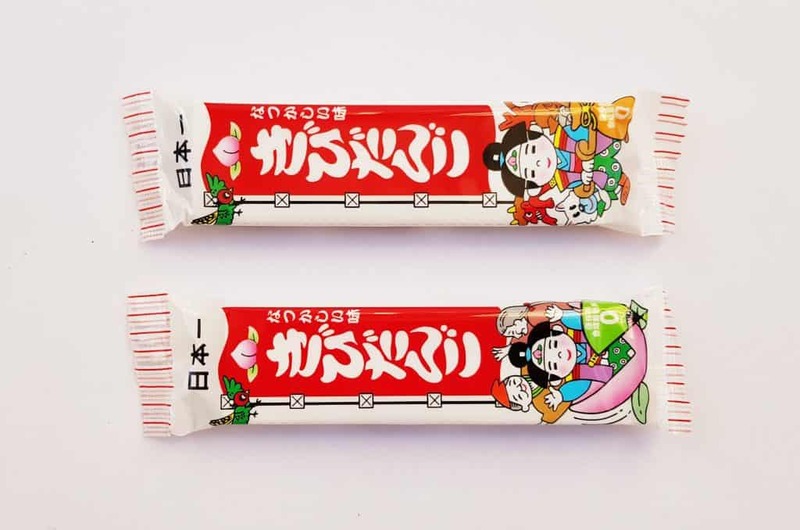 Kibidango are a wagashi (traditional Japanese sweet) and are a type of mochi (rice cake made from rice paste). 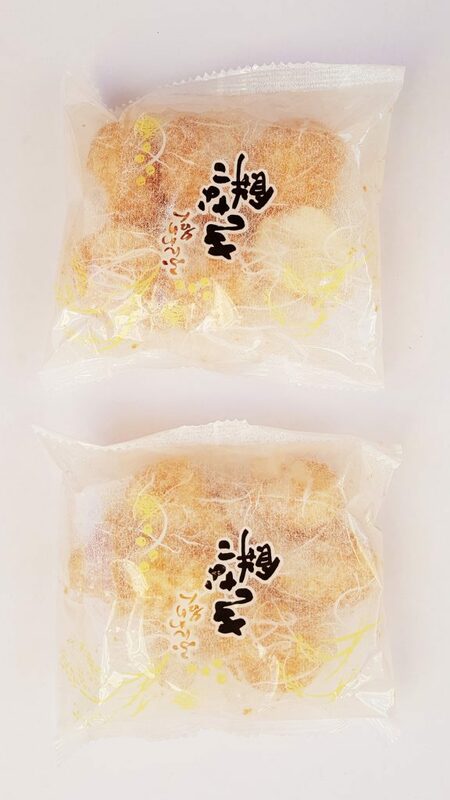 It is covered with edible rice paper, and has a nutty flavour. These Strawberry Tartlets are like a Japanese jam tart! There’s a light biscuit base with strawberry paste on top. 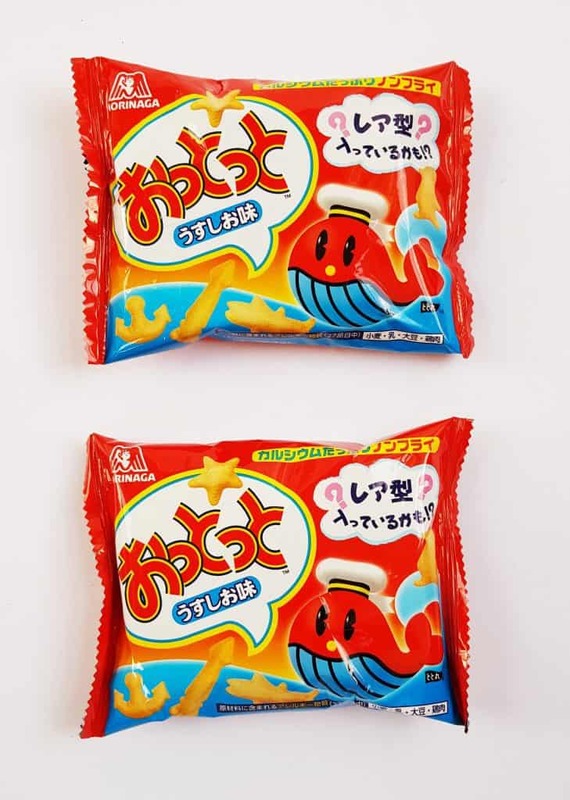 Ottotto Crackers (Salt Flavour) are cute little crackers in the shape of different sea creatures. Tai Chocolate are absolutely delicious! 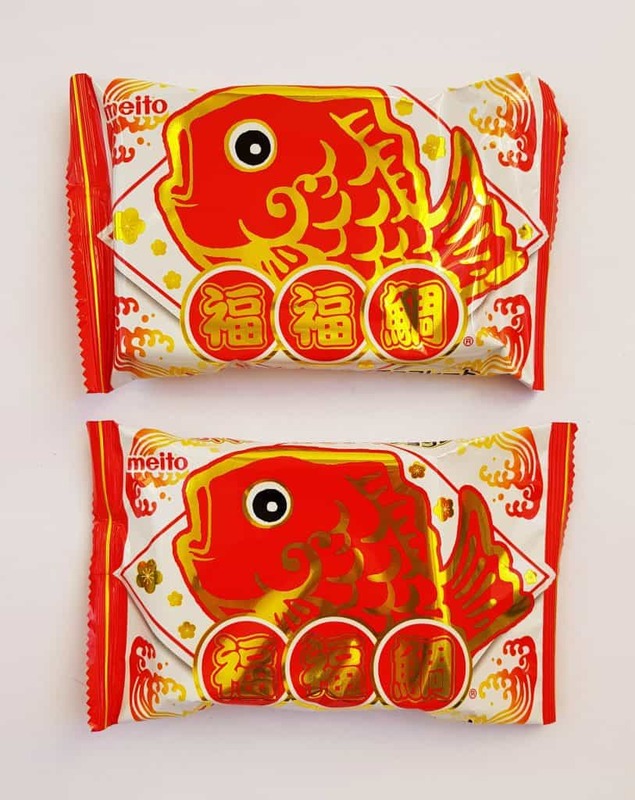 They are a fish-shaped wafer with a light bubbly chocolate filling. Finally, these are White Bake Chocolate. They look like tiny muffins or cupcakes, and come in a little paper case, but they are a sweet white chocolate with little crispy pieces. The texture is very light and crumbly, and despite their size and lightness, they are very rich! 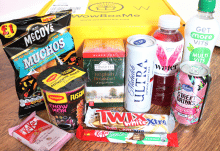 Well, there is certainly a lot of lovely bright red in this month’s box! This is the perfect theme for January, and everything looks as good as it tastes. I really like the combination of traditional and fun items here. The wafer fish are wonderful (I’ve had them before, though a different brand) and the cloud mochi have a fantastic taste and texture. The Japanese version of a jam tart is great fun. They taste exactly as you would expect, plus they are very pretty to look at with the bright red jam. 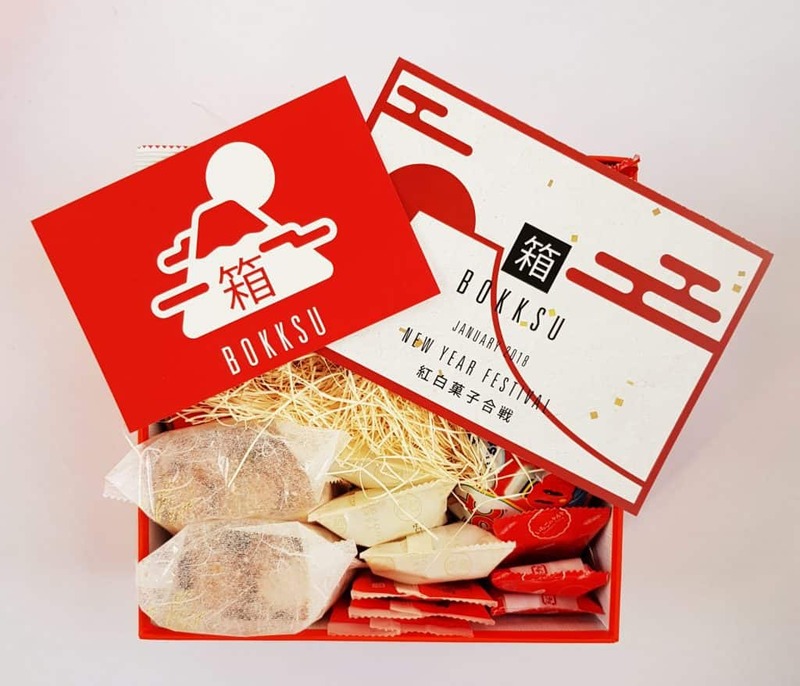 The Daruma Rice Crackers are both tasty and on point with the theme. The different colours make them look very attractive! Of the nine different snacks, four are savory, which is a nice mix (though no shrimp senbei for me). 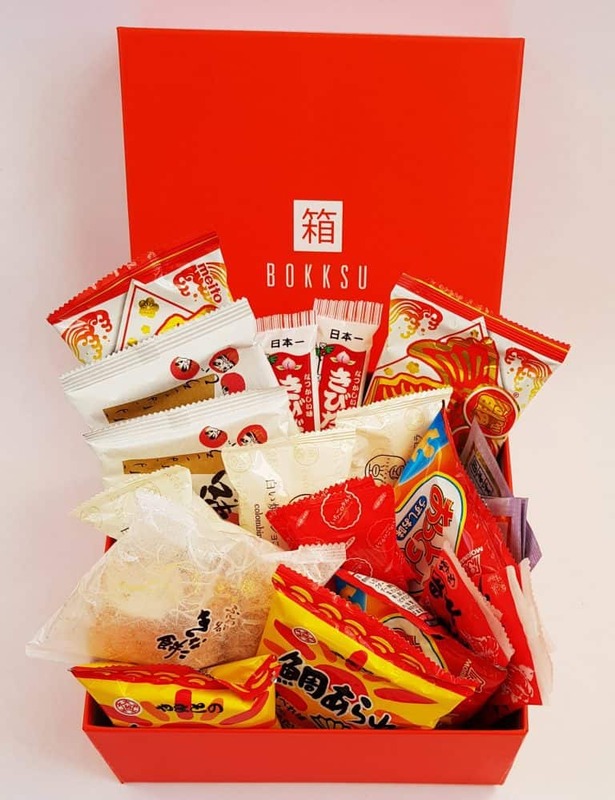 While I do enjoy soft mochi, I really like crunchy things, and this box contains plenty of those! It is not particularly cheap, but then these items are near-impossible to source in the UK, and everything is shipped directly from Japan. I had a little look on Google to see what might be available in the UK, and not really had any luck. Even the excellent Asian supermarkets in Chinatown in London rarely sell things like these. 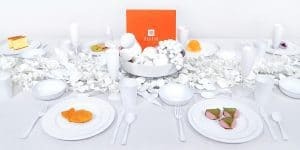 Each of these items really feels like a special treat! The packaging is particularly attractive, and individual items mean you can just have a little taste to make everything last longer. 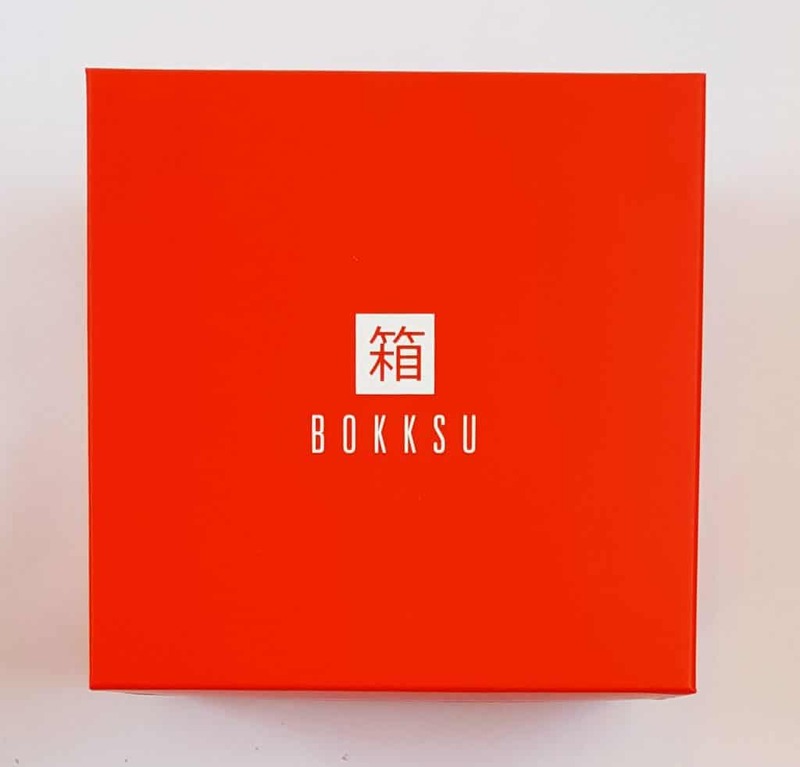 This would make a wonderful gift for anyone who enjoys and who is interested in the finer side of Japanese food culture, or of course, just buy it for yourself!